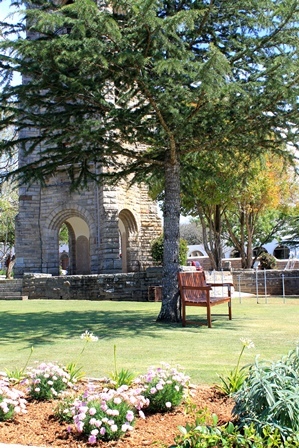 The Garden of Remembrance and Wall of Remembrance of St Andrew’s College is a quiet section surrounding the Clock Tower set aside as a place of reflection and for remembering Old Andreans and Honorary Old Andreans and for the interment of their ashes. Old Andreans or Honorary Old Andreans or their family may apply for a plaque after the death of said Old Andrean (OA) in the Garden of Remembrance or on the Wall of Remembrance at the Clock Tower in accordance with the procedures described below. For this to be implemented in the Garden of Remembrance, the ashes of the said OA are required to be interred. The memorial fee must be paid for plaques in the Garden of Remembrance or for the Wall of Remembrance. 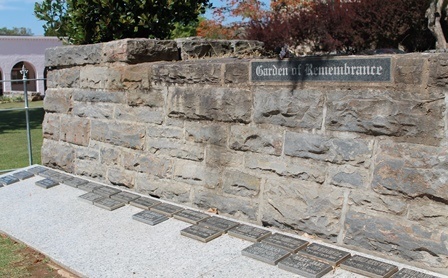 Memorial plaques in the Garden of Remembrance display the full name, date of birth, and date of death of each person memorialised. Memorial plaques on the Wall of Remembrance display the full name, house and years at College of each person memorialised. Arrangements for an interment and unveiling service in the case of the Garden of Remembrance must be made with the Chaplain of St Andrew’s College. St Andrew’s College will not assume responsibility for the storage of ashes. Family participation is assumed in preparation for interment. Although no marker is placed on the site of the interred ashes, a record will be kept indicating the site. 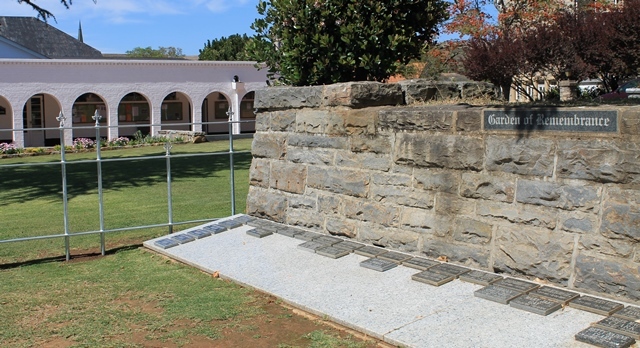 In the case of plaques for the Wall of Remembrance, unveiling services will be organised by the Chaplain of St Andrew’s College from time to time as relevant. Families of those who arrange for such plaques should consult with the Chaplain as to the date of such an unveiling service and whether any of them would be able to attend such a service. HOW WILL IT BE SUPPORTED? The Chaplain will arrange the ordering and installation of the memorial plaques. These costs cover the manufacture of the plaque and the perpetual maintenance and caring of the gardens, surrounding area and the Chapel. Such charges will increase from time to time based on inflation. HOW WILL IT BE MAINTAINED AND ADMINISTERED? The appearance, use and maintenance of the Garden and Wall of Remembrance are under the exclusive control of St Andrew’s College. The school has direct responsibility for upkeep of the garden, plaques, records, financial oversight, and garden policy. No individual shall acquire any right whatsoever with respect to the use or appearance of the Garden Of Remembrance, the Wall of Remembrance, their respective Memorial plaques, or the permanent records. St Andrew’s College may alter or relocate the Garden of Remembrance or the Wall of Remembrance whenever changes are deemed necessary. 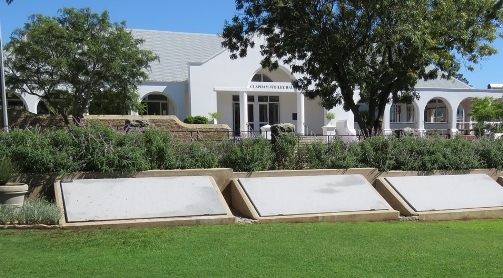 The St Andrew’s College Council shall from time to time adopt administrative rules and regulations pertaining to the use, appearance, maintenance, costs, improvements, and perpetuation of the Garden of Remembrance and the Wall of Remembrance. The landscaping of the areas is the responsibility of the school and no additional flowers, potted plants, or statues will be permitted. WHAT IS THE PROCESS FOR APPLICATION FOR PLAQUES? Written or email requests to be sent to the Foundation Office (details below) to apply for a Memorial Plaque. Please indicate whether this is for the Garden of Remembrance (where the interment of ashes is required) or for the Wall of Remembrance (where ashes are not interred). Supply the full name, date of birth, date of death, house and years spent at College of the said OA. The Foundation Office will then forward the application to The Headmaster and Chaplain for approval and confirmation. On approval, the Chaplain will contact the applicant to discuss and arrange the relevant interment or unveiling service. The memorial services will be conducted according to the Anglican Prayer Book. Where applications are made by individuals that are not direct family of the deceased, it is required that a letter of approval from a direct family member or relative of the deceased is supplied. Please direct any queries to the Foundation Office. If we receive a request for the flag to be flown at half-mast due to the death of an Old Andrean. Even if no specific request is made, the flag is flown at half-mast on the decision of the Headmaster or the Vice President of the OA Club if a local Old Andrean has died. 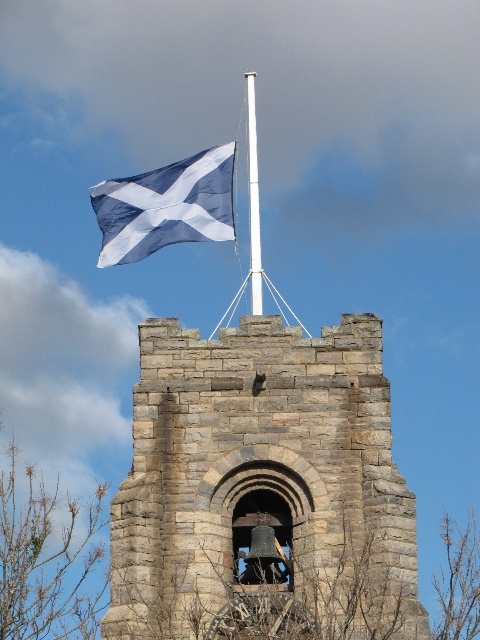 It is flown at half-mast for the period of one day, usually the same day that the funeral or memorial service takes place.